Omelet prepared in kindergartens and schools, has a delicate and very pleasant taste. It is quite possible to prepare at home, if you know some cooking tricks. To prepare scrambled eggs for 6 servings you will need 10 selected eggs, 500 ml milk, 60 grams butter and 1 teaspoon of salt. Additionally you need to prepare a tablespoon of butter to grease the pan. The secret of cooking this omelet is to use a sufficiently large amount of milk. In addition, it is important to note that milk-egg mixture does not need to be whipped, and you should only stir well. In the dining room omelette on a lot of portions. The chef just has no way to beat products, but only thoroughly mixes them up. Next you need to grease the pan with butter and pour in the prepared mixture, then put it in a preheated 200oC oven. Bake the omelet should be for 30 minutes. To open the oven during cooking is not necessary. As soon as the omelette is ready, you need to turn off the oven, remove the broiler. After the dish cools, should be cut into its portion pieces, each of which is put on an individual plate. The butter should be cut into 6 pieces and put each piece on a serving of scrambled eggs. In order dish turned out incredibly delicious, it is desirable to use only selected fresh eggs. Milk is better to choose a home. 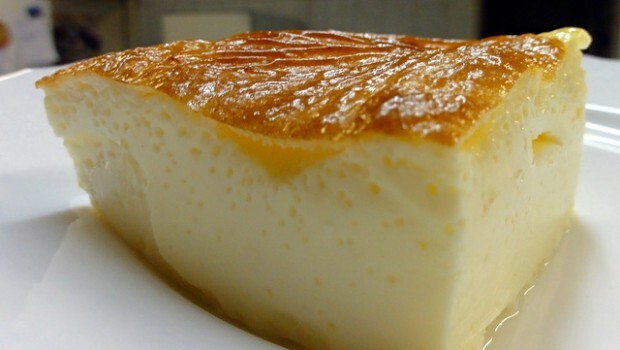 It has a much higher fat content than that which is produced at dairy plants. It is not suitable for making scrambled eggs milk, which has been made from powder or UHT long-life products. In some messes it is customary to add to the scrambled eggs a little flour, but really the dish turns out very dense and delicious without this ingredient. Some believe that chef kindergartens added to the omelet special components that allow it not to fall during baking. This is absolutely not true. If the owner wants to ensure that the pieces were high enough, she needs to pick up form with high bumpers. You need to fill it about 2/3, as the egg-milk mass tends to increase in size when baking. This egg can be safely called the canteen, and to be fair, remember that this is the omelet was served not only in kindergarten, but also in hospitals , sanatoriums. How to make a dense, high, fluffy and sweet-flavored scrambled eggs in kindergarten? Technology for kindergarten. And however, it is necessary to debunk some of the myths surrounding the formulation of this seemingly simple dishes. Pre-washed and drained beat eggs in a fairly deep bowl. Then with a fork pierced the yolks, eggs are mixed until a homogeneous light yellow mass. The nuance that you should remember it when you make scrambled eggs in kindergarten: beat the eggs absolutely not, especially before the formation of the foam. They only need to stir only with a fork. Whisk and mixer, helpers here can not be. Then add to egg mixture with milk, sprinkle with salt and continue without fanaticism to stir. If to avoid the appearance of fluffy foam in this process, when removing from the oven our scrambled eggs to settle. Oven heated to 200 degrees. 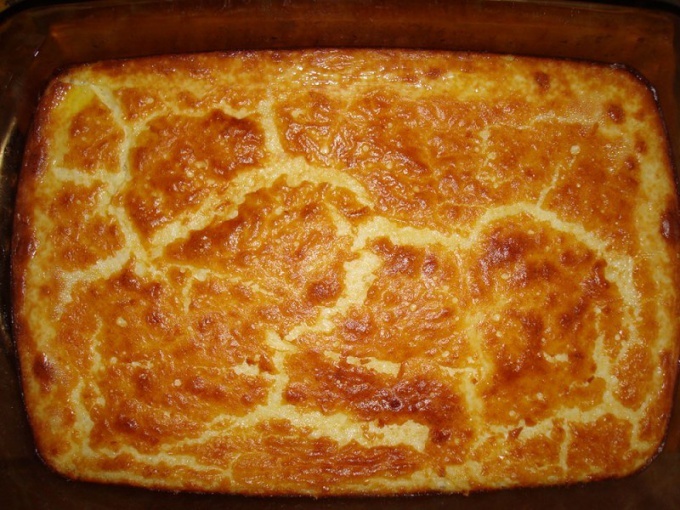 Refractory form of grease to the brim with butter, pour the milk-egg mixture and place in the oven on high for 15 minutes. Some people manage to cook the omelet in half an hour. But this is nonsense. The "right" omelet in kindergarten has a dense structure and a small number of holes, but if you increase the time cooked scrambled eggs, the structure becomes porous, the number of holes increases, there is a lot of liquid. When the omelet is ready (it will be recalled that this occurs after 10 minutes for not holding the heat in the kitchen 15), pour it creamy melted butter. Incidentally, the velvet structure of the omelet is partly thanks to butter. To replace the plant in any case it is impossible, unless, of course, do not wish to receive instead of the omelette sole. Silky and soft eggs in the omelet will make butter. Starch, flour and baking soda for this recipe omelette – the ingredients unacceptable. To some it seems that omelettes should be very high, but according to official regulations the height of the scrambled eggs can not exceed four inches. The regulation is the ratio of milk and eggs. 1 serving of scrambled eggs in kindergarten should take 100 ml milk and 1 egg. These proportions should be the same.